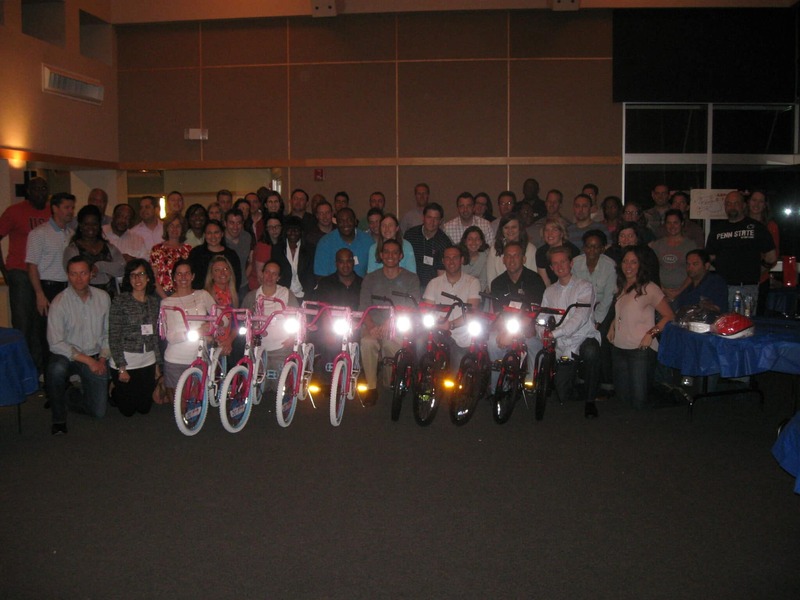 Frito-Lay North America is the division of PepsiCo, hosted the Build-A-Bike ® team building event for a group of leaders coming in from around U.S. Frito-Lay North America is the division of PepsiCo that manufactures markets and sells corn chips, potato chips and other snack foods. The primary snack food brands produced under the Frito-Lay name include Fritos corn chips, Cheetos cheese-flavored snacks, Doritos and Tostitos tortilla chips, Lay’s potato chips, Rold Gold pretzels, Ruffles chips. It was arranged for the event to be held at The Heard Natural Science Museum & Wildlife Sanctuary, in McKinney Texas, just outside Dallas, Texas. The group of leaders had been in meetings all day showed up to the wildlife for a catered dinner by Blue Mesa Cantina then to participate in the Build-A-Bike ® team building event. 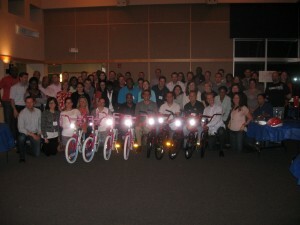 Build-A-Bike uses a series of challenges and activities to encourage team building. The activities are meant to be something of a caricature of behavior we can see in the workplace. The participants had a good time poking fun at themselves and each other as they moved through the exercises together. Kara Schillaci of the learning and development team said “this event was a huge success” “ Thank you for a great event”. The judges in the team building activities were the top leaders in the room and they had such a good time with their team. The group was very interactive, helped one another solve the clues to earn their parts to assemble the bikes.